Does it ever seem like your kid's crayons just sprouted a pair of arms and legs and walked off on their own? This is one of those costumes that explains a bizarre, everyday phenomenon that we all deal with... in this case, Crayolas going missing and seemingly disappearing into a void of mystery forever (helpful hint: we usually find ours under the couch cushions). 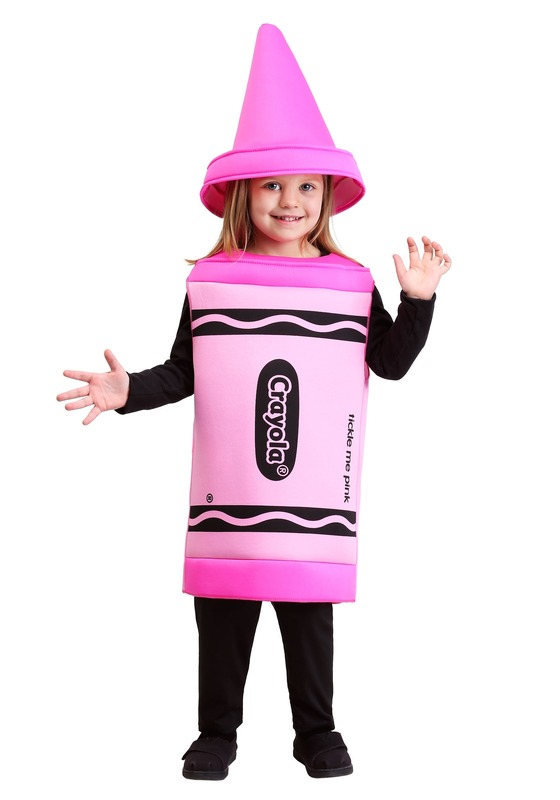 This Halloween, your daughter can be the Crayola that got away with this cuteness overload we call the Toddler Pink Crayon Costume! She'll get to be one of her most favorite things ever, and not only that, but also the prettiest and most noticeable Crayon in the box... the pink one! It's a costume that will excite your kid as soon as she sees it. But it has some great added benefits, too. Consisting of just two pieces (a polyfoam suit and hat), it's a no-muss, no-fuss, easy to wear outfit. It pairs with pretty much anything, and with its bright pink color, your little Crayon won't be disappearing like the ones she uses on her coloring books at home. You'll be able to keep an eye on her as she stockpiles candy from house to house on Halloween night. For a truly colorful evening, there's no better way to dress up than this officially licensed Toddler Pink Crayon Costume. And if you've going trick-or-treating with friends, be sure to have them check out the rest of our Crayola costumes, which range from toddler to adult sizes!